Movie patch, real or replica? Just scored this off a EBay listing. I'd thought it was one of the 2007 replicas, but after getting it I think it's most likely from the movie production itself. Opinions, anyone? Here is a known authentic movie patch. Looks like you may have a reproduction. Compare and judge for yourself. These don't come around very often, even the replicas, so you can still consider yourself lucky! Also, my patch is obviously not mass produced. Note the cotton web backing and mass produced patches usually have a waxed backing. All that said, I am happy with it being a repro (like you said, even the repros are uber rare), but it'd of course be much cooler if it were movie-produced. 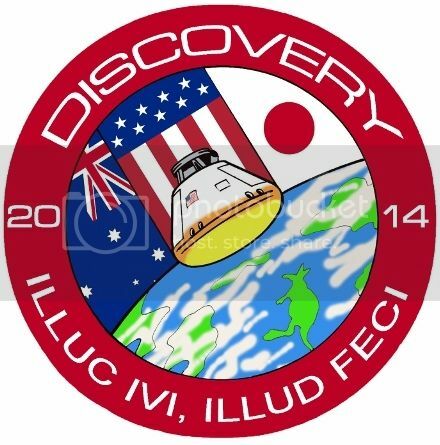 I saw this on eBay (assuming it was this one) and asked the seller for the diameter of the patch. From that information it was, in my estimation, one of the 2007 replicas. I could be wrong though. Does anyone here have one of the 2007 replicas? The photo I posted I found elsewhere and it shows a totally different patch. That said, it's also a little different from the recent eBay flight suit used in the film. The most compelling factor to me is that the patch isn't fully embroidered. Note the blue area, they never stitched anything over that. Look at the photo of the replica I posted here, you can see not only is the typeface different, it also is fully embroidered in the blue field as well. Now, that doesn't mean someone else didn't make replicas at some point, but it sure doesn't look like the known SC-sold replica I posted the photo of in this thread. Either way, I'd love to know if there were any other replicas made. This raises a good question, and I certainly didn't do my due diligence before the close of the auction. I never compared the auction to my 2007 patch. I was just told it was "3 inches in diameter," which matches the 2007 replica. 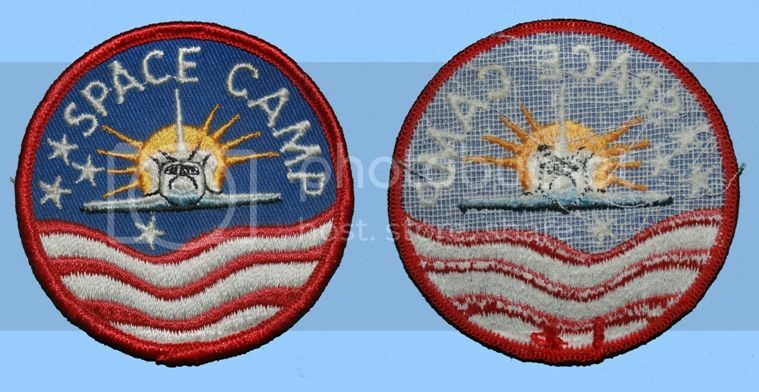 I have two crew jackets from SpaceCamp, and those patches are 4 inches in diameter, so I didn't bid. It's not impossible that multiple sizes were produced for the movie. What P51 has is def not one of the Sprocket 2007 replicas. So it is either a 3" version of the movie production patch (which I have never heard of existing) or is a more recent knockoff based off of the 2007 replicas. I am willing to bet the latter since there was an eBay seller (***from China***) a couple of years ago who for a brief time was selling these along with a very, very hideous reproduction of a Mach 25 patch. I can't say for sure since I didn't save a picture of it, but maybe someone else can chime in. Boomerang? I actually encountered one of these Chinese knockoffs at a aviation collectible show last year. It looks totally different from the one I originally posted. The guy had it in a display of space patches and he told me he'd gotten it from eBay long before I started looking for SC stuff. I wish I'd taken a photo of it with my cell as he wasn't interested in selling it at all. 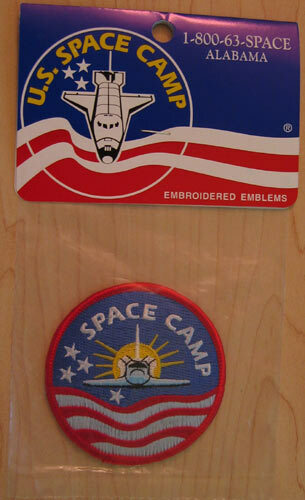 I had one of those god-awful knockoff Mach 25 patches once, and the SC knockoff was made of very similar construction. It simply wasn't made like mine. Now, all that said, it's not impossible that someone else made this. I don't profess to know for sure that it's a movie-production patch. But anyone who's dealt with having patches made as often as I have can recognize a patch made in a low-production environment. I bet it was the same knockoff I remember seeing a few years back! Trust me, the one you have in your possession now is better. The same guy that was selling the hideous Mach 25 patch knockoffs was selling them, and both appeared to have been produced with the same low budget, cost saving methods you refer to. And the 2007 replica patches aren't bad! I kinda wish I had purchased a few when I was at Sprocket that summer. I also was an active bidder on that patch. It is a great piece! I do not even have any of the 'reproduction' movie patches so was not afraid to put a higher bid on something like that. None the less, atleast after losing out on the auction I see it went to a good home and kept some money in my pocket. 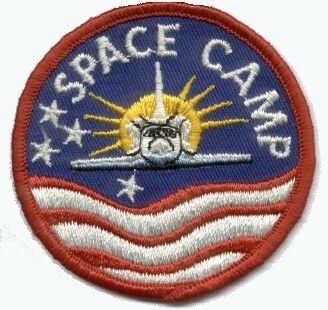 blachwk wrote: I also was an active bidder on that patch. It is a great piece! thanks, I actually got a second offer on it, which leads me to believe that either they had two of them, or the person who won backed out. I have curtailed my space camp collecting, for the most part, but this was the one thing I wasn't going to let go easily. Out of curiosity, was this patch used or not used? (Pin holes from stitching, wear, etc?) I could not quite tell from the photos. blachwk wrote: Out of curiosity, was this patch used or not used? (Pin holes from stitching, wear, etc?) I could not quite tell from the photos. It's stretched slightly, so I'm not 100% sure it was never sewn to anything. It doesn't look as fresh as a patch that never saw the sunshine on a garment at some point. These merrow-edged patches can sometimes be hard to tell if they've been sewn to something if that stitching was in the edging.